Gujarat Election Exit Poll came up with positive for the current government of BJP. As the prediction on the cards for BJP it vary from Amit Shah's 150+ target in Gujarat but still the positive is there for the stock market and ipo market as well. 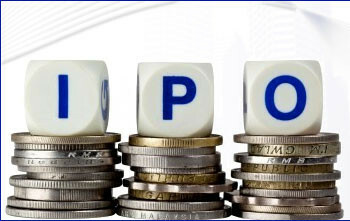 The big companies who recently came up with IPOs, already listed companies and the companies coming up with IPOs from Gujarat might have something to spark on the listing as well. Future Supply Chain ipo is going to list on Monday, 18th December and it is the day for Gujarat Election Results as well. We can expect a good listing as the positive for BJP and the market will be react on the positive note as well. We can expect a good listing for FSC ipo and the Astron Paper will surely been on the cards. It will get a good listing ahead for the investors who are going to have luck on their hand. As expected BJP will sweep the Gujarat in 2017 elections as well. The market already reacted on friday and now its time to have some more fun for the investors. Gujarat based companies is been on the cards to see the reaction of the results. It will surely go up and Nifty will go above 10500 mark for sure. We can expect a new high for Nifty in coming days. Himachal Pradesh is also giving the way to BJP as per exit poll and all positive for the market is there to react on monday.